Yay! We have a new president. Start the celebrations, the bhangras, the parties, the mithai and all the fun that we can never have enough off. It seems, however, that the news reached Dera Ismail Khan earlier than expected; they started the festivities around midnight with all the blasts and fireworks. Those were terrorists breaching the central jail confines and breaking free over 200 prisoners. The fact that they managed to accomplish this mission, just a few days after the blasts in Parachinar, is a reminder for all of us about how the government is finding it hard to deal with the security situation in the country. It is against this deteriorating law and order situation that the Presidential elections were held. The Pakistan Muslim League-Nawaz (PML-N) candidate managed to hold his own against the Pakistan Tehreek-e-Insaf (PTI) candidate and was able to comfortably secure victory with the Pakistan People’s Party (PPP) having boycotted the election. The position of the president these days is largely ceremonial. Subsequent to the 18th Amendment, the real power rests with the parliament and the prime minister. Our new President Mamnoon Hussain is by all accounts a good man. He is the former governor of Sindh and a party loyalist who has stuck it out with the PML-N through thick and thin. He is docile in nature and no corruption charges have ever been levelled against him. His unyielding long term support has been recognised by his party and he now stands elected for the highest public office in Pakistan. It is indeed inspiring to see somebody from the urban city of Karachi, not belonging to any political family or the military, be elected as the president of Pakistan. His success should encourage many more from good families to actively participate in politics. The downside of his election as president is that not many Pakistanis outside of the PML-N know much about him. To a lot of the masses his name is completely new and he does not necessarily grab the public imagination as being someone who would make much of an impact. He is also not very well known internationally. Given that, the time was right for the political parties to come together and unanimously elect a president with national and international repute, the fact that he is a party loyalist works to the advantage of his critics who have already started branding him a ‘yes-man’ on the media. This is something that the PML-N will have to deal with as his tenure unfolds and this could have been avoided had his election been unanimous. At this point, however, a president with national and international recognition would have been widely respected and could have served as a figure-head, playing a role in reaching out to disgruntled elements within Pakistan, as well as presenting Pakistan’s case on many world issues at appropriate international forums. This would have been a better approach and would have instilled confidence in the public at large that democracy is indeed the solution and is taking us forward as a nation. The presidential elections were an opportunity for the political forces in Pakistan to come together and work for the greater good. The joint nomination and election of a bi-partisan Pakistani of international repute as the new president of Pakistan would have been ideal. It would have helped build Pakistan’s profile internationally and brought the political forces together in building consensus that is required to solve other issues which confront the Pakistani nation. 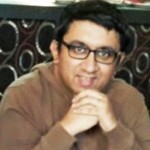 In 2008, the Electoral College of Pakistan, which has representation of all political forces of Pakistan, was the one to elect President Zardari unanimously; this, however, was far more likely to have happened this time around. Instead, we now have a situation where the political parties are failing to see eye to eye on many issues of national importance. The arguments which have preceded the presidential elections have shown that the political parties are finding it hard to work together; the All Parties Conference (APC), on national security, stands divided. Rather than uniting the nation, the new president, during the course of his election, appears to have somehow managed to widen the gaps that exist in our politics. However, all is not lost. 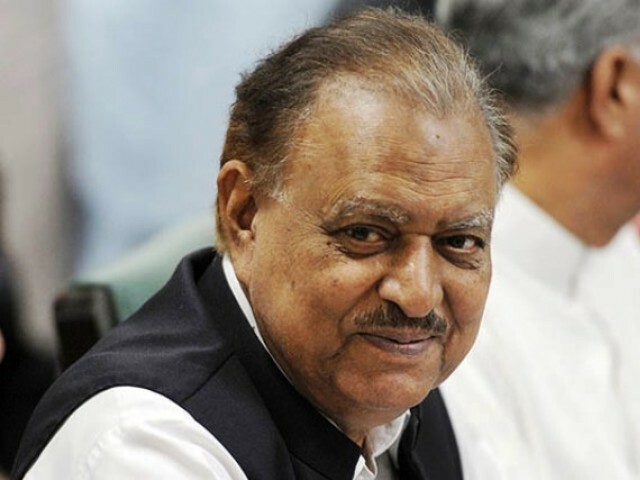 Mamnoon Hussain has been duly elected and will be commencing his duties as soon as he takes oath. He should use his office and position to play the role of front-man in bringing political parties together and building the consensus that is required to deal with national issues. If he succeeds, this will, perhaps, be the legacy for which his tenure will be remembered. All the best and welcome aboard! How much do we spend on an office that can’t even dismiss a government ? If a cost to benefit study on the office of the President were done ………….. the result would be predictable. The Presidency expenditure will reduce considerably. Tax payer will save some. The new president never aspired for this or any office. His entering to President House is a miracle. I still feel as if it is a dream. Unbelievable really. The point is we are not learning any lesson!!!!! Last intense 5 years of PPP government failed to secure peace and stability!!!!!!!!!!! why?????? the reason is plain ‘lack of political consensus’.. and one most confess that our ex.president wasn’t smart or cared enough to tackle with national solidarity issue!!!! Ironically recent presidential elections is the repetition of same episode !!!! PPP(the leading part of sindh) and ANP walked out!!! no regrets from government!!! Instead, we now have a situation where the political parties are failing to see eye to eye on many issues of national importance. In the past people of Pakistan witnessed vulgarity of no cooperation of Punjab with Federal government. This is betraying the tax payer who sends the elected representatives to deliver. They fight at tax payers expense and play as heroes and villains. This legacy should be reject with contempt by the people. It was a happy sight that both Governor and Chief Minister of Sind attended the visiting PM at Karachi.